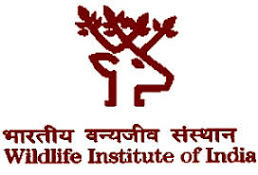 The Wildlife Institute of India, Dehra Dun invites application for Walk-in-interview for engaging the following Project Personnel for the WII-UNDP SECURE HIMALAYA Project purely on contractual basis for a period of Fourteen (14) months. The project component aims to “Assessment of capacities and training needs of key government staff, community members/institutions and other relevant stakeholders for long-term effective biodiversity conservation, development and implementation of a capacity building framework to enhance capacities of key stakeholders in SECURE Himalaya project landscapes in selected districts of Himachal Pradesh”. 2 Essential Qualification (EQ) M.Sc. in Wildlife Science / Botany / Forestry Environmental Science or Management or related subjects. 4 Work description Assist faculty and experts in various activities of the project at field sites / HQ, data collection/ compilation, assistance during workshops, stakeholders consultations, writing reports, plans, preparation of maps, presentations and other related activities. 7 Age Not exceeding 30 years as on the date of interview. Upper age limit in case of applicants belonging to SC/ST/OBC categories may be relaxed as per the rules. 1. The candidate should report by 0930 hrs for scrutiny of documents on 22.02.2019, followed by an Interview on the same day at 1100 hrs. The Institute will not provide accommodation for candidates appearing for the interview. 2. Candidates should bring the duly filled-in application with attested true copies of testimonials of educational qualifications along with certificate of extracurricular activities; date of birth, mark sheets of all examinations etc. All original documents/certificates must be produced at the time of registration for necessary verification. 3. No TA/DA will be paid for attending the interview.